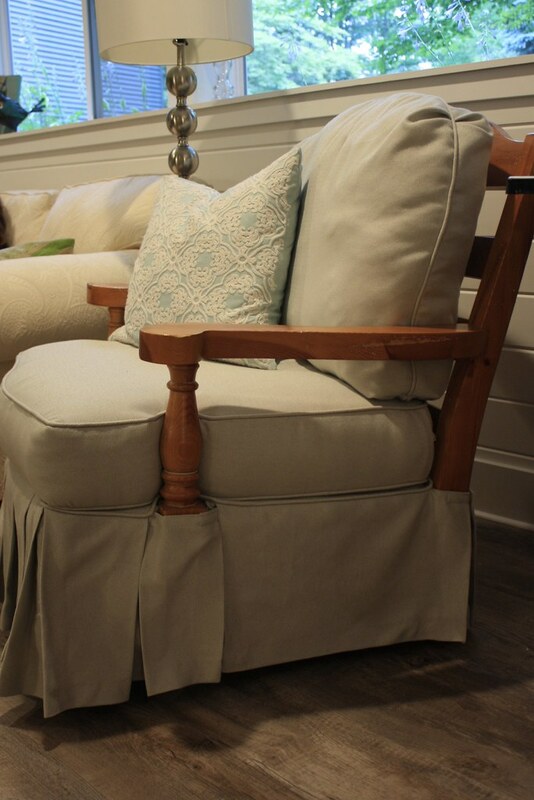 Over the past couple of months, I helped my sister make some new slipcovers for a pair of arm chairs that she wanted to use in her newly finished basement. 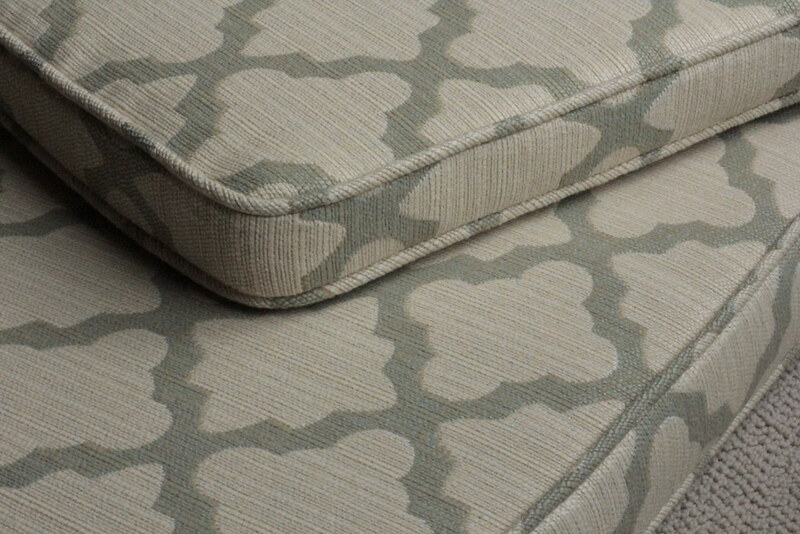 I found a bolt of light gray fabric for super cheap at our local Habitat Restore and we used that to make the slipcovers. 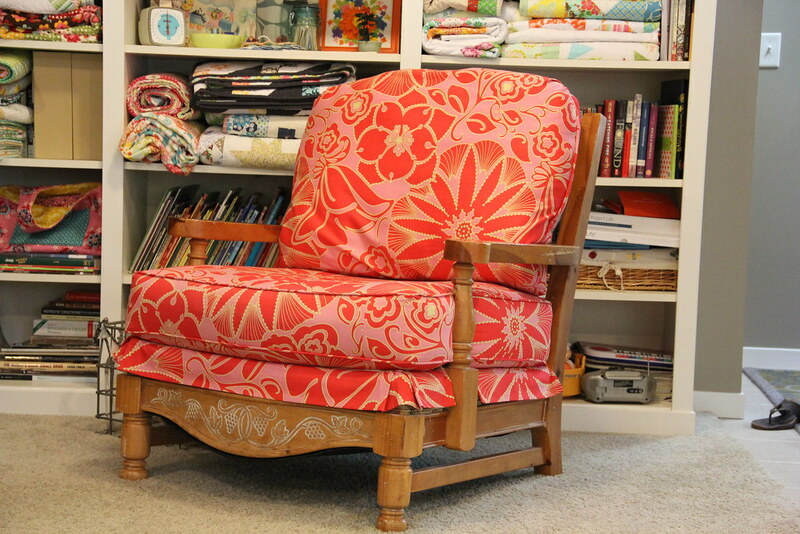 It wasn't the best fabric for slipcovers because it had a sticky backing on it but for $3.00 we could make it work. The picture above is what one of the chairs looked like when we started. 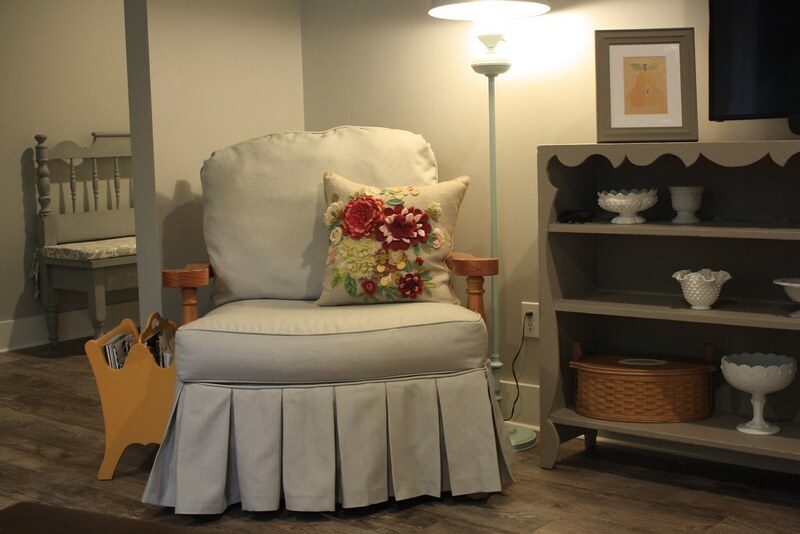 Jennifer had made the slipcover years ago and even though it is still cute, it didn't go with the new look in her basement. 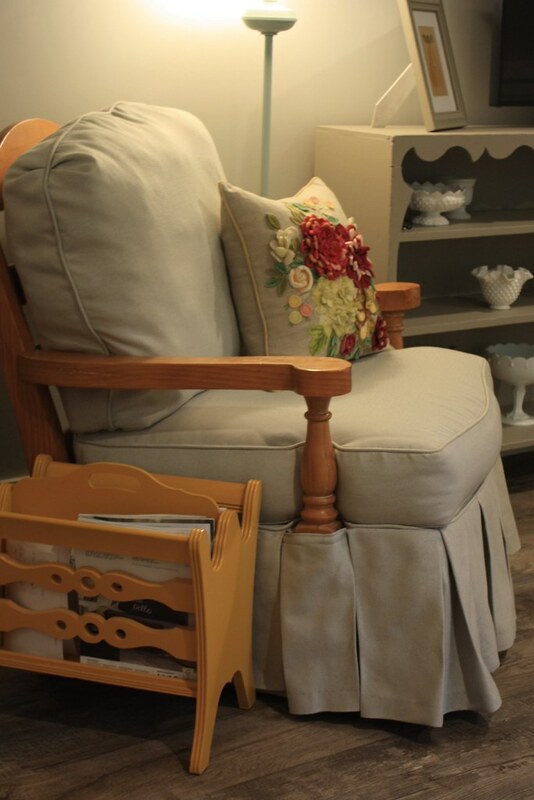 We used lots of velcro to help go around all the arms and parts of the chair that are wood. It was a little tricky to figure out, but the box pleats helped in working around the arms. 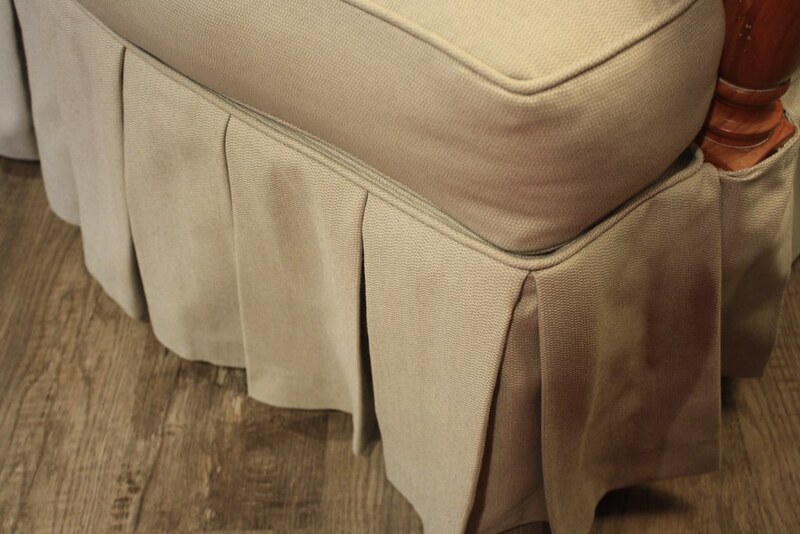 We ended up not having enough fabric to do the box pleats all around both chairs, so the back has a flat panel and part of the sides do too. I think it works just fine and since the back is up against the wall most of the time and you'll never notice the difference. 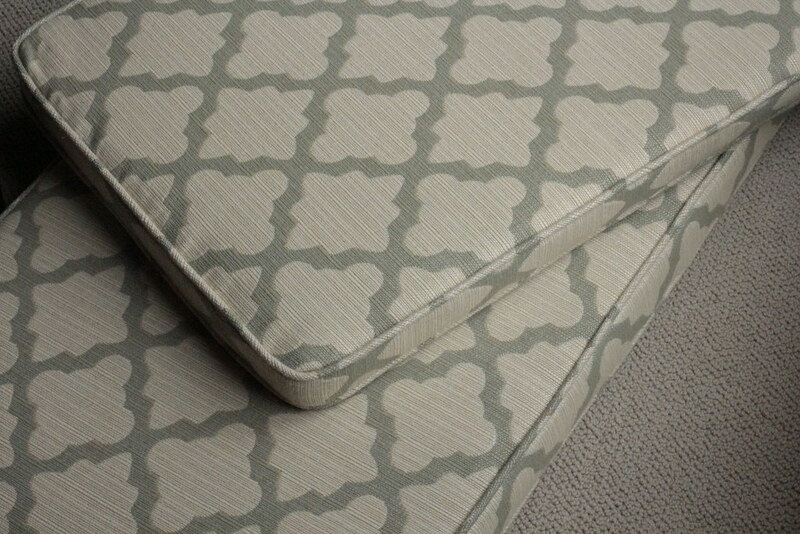 I also found a few pictures of a pair of bench cushions that I made earlier this spring. It was such pretty upholstery fabric! I love the new look! I actually liked the old look also. But change is always fun! 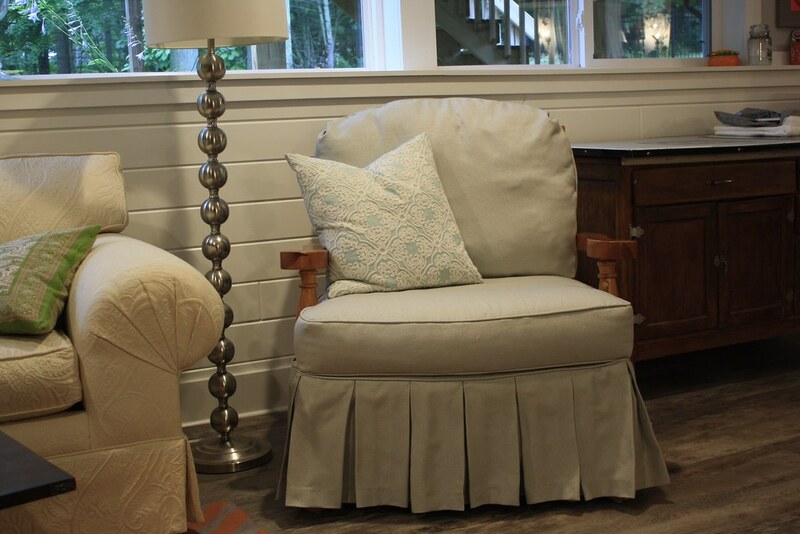 How did you ever learn to make slipcovers... they look so nice! I am afraid to try. Beautiful Collections especially i liked that red one. its looks unique.